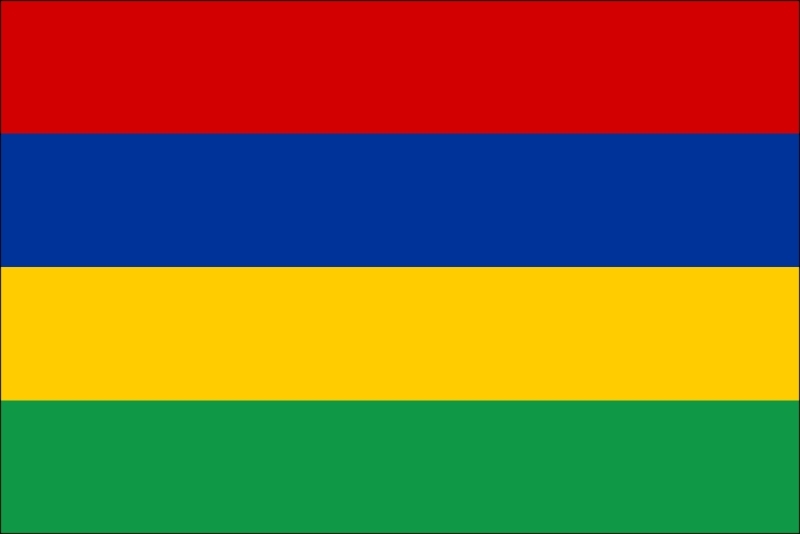 Flag Friday is a periodic discussion of the world's national flags; the project is explained and indexed here. These discussions are about graphic design, and perhaps about nationalism and national symbolism in general. They should not be taken as critical of the countries, ideals, cultures, or people that the flags represent. Parsons: It has "bad colours" but salvages a "B", 73/100. 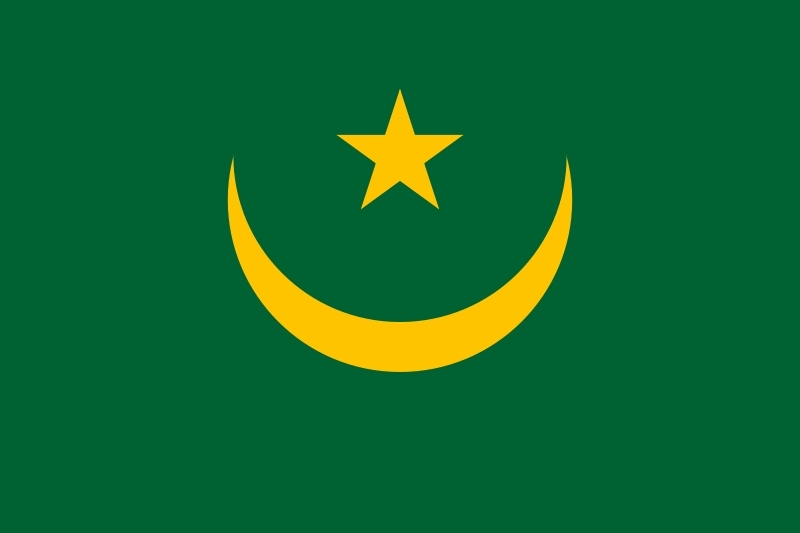 Michael5000: How come I've never noticed the Mauritanian flag before? It's pretty slick. Plus, I like the colours. Parsons: "Hey, lots of countries have a tricolour," writes Parsons, speculating on the thought process behind this design. "Why don't we have a quadricolor? Big mistake." With "bad colours" that "make [him] nauseous, it only escapes with a "C-", 50/100. Michael5000: Going from the three stripes to the four stripes is such an obvious move that it would be surprising that more countries hadn't tried it -- or would be, if it just didn't look so wrong in execution. Whether this is simply a product of everybody being accustomed to tricolors, or if there is something culturally or even biologically less satisfying about a series of four stripes, I could not speculate. Clearly, picking the colors of IKEA children's toys don't especially help. Slight mitigating factor: distinctiveness and recognizeability. Parsons: With "graven images" and being "too busy," it barely tops Mauritius with a "C-", 52/100. Michael5000: See, I almost have to recuse myself from looking at the banner of a next-door neighbor of my own country. Clearly, the eagle-serpant-cactus-island retelling of the national origin myth is way too detailed to be properly flaggy, failing with gusto the Betsy Ross test and foiling all but the very most talented of child crayon artists. And yet I am fond. You have to admit that, as national seals go, it's a pretty boss national seal. Parsons: Without comment, it gets a "B-", 66/100. Michael5000: Pretty much the only thing I like here is that the stars are set so as to create a squarish negative shape in the center. 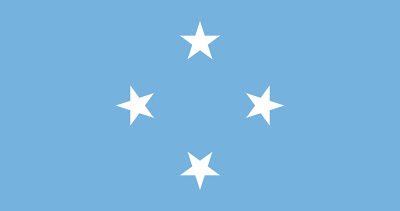 But beyond that, we have four white stars. In a field of sky blue. Boring enough on the page or screen, this thing must be essentially camoflaged when flown up on a flagpole. On the up side, it won't really matter when the flag gets old and the color is all washed out; washed-out color is built into the design. 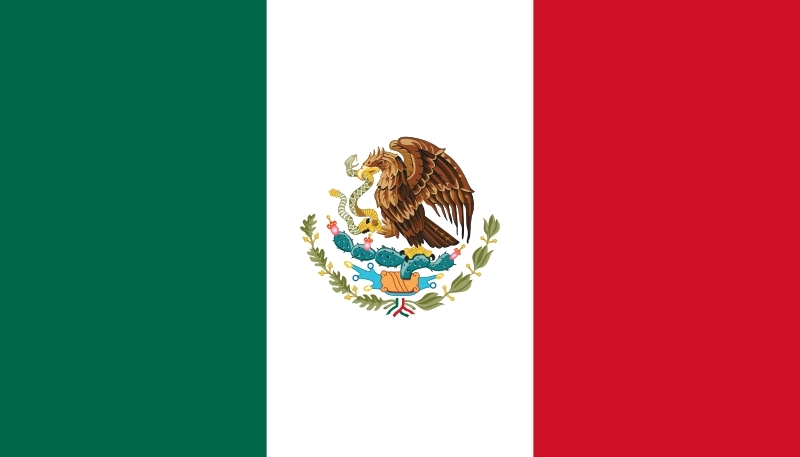 Parsons: With a trio of complaints -- a "bad shape," "graven images," and being "too busy," it barely tops Mexico with a "C," 55/100. Michael5000: It is a bit leggy, being one of those 1:2 ratio flags despite the relative lack of British influence. 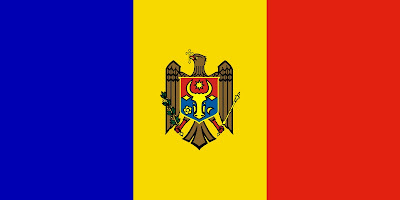 Moldova has deep cultural ties with neighboring Romania, and its flag is basically the Romanian tricolor with a seal on it. The seal is undeniably busy, an eagle clutching something with each leg, and with a crest on its chest. (It is, incidentally, an interesting convention of heraldry that makes it seem perfectly normal to represent birds of prey with crests on their chests. Birds almost never bear heraldic crests on their chests in real life. But I digress.) But two things mitigate the busy-ness. For one thing, the seal is graphically simple, and the entire flag is rendered in five colors plus black. It's not especially kind on the local Betsy Ross, but if she's got her skillz she'll do fine. The other thing is, the crest is of a cow with a moon, sun, and little flower. I find this slightly enchanting. Also: distinctive. 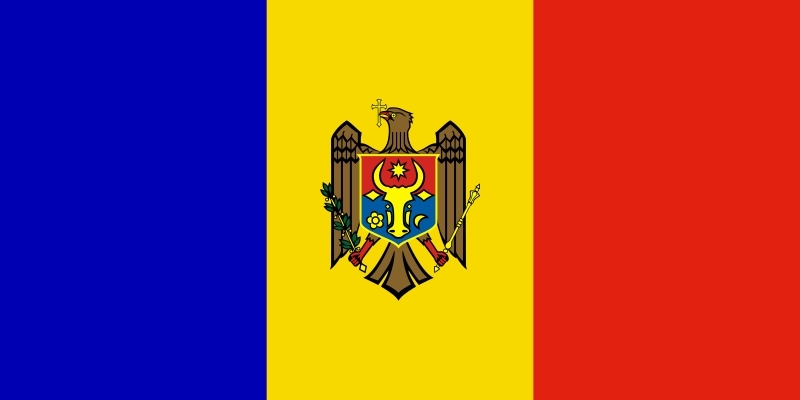 Romania and Chad are the only other two countries to fly an all-primaries tricolor, and neither of them have a cow. Or any seal at all, for that matter.